Lake of the Ozarks, Missouri (February 11, 2019) – The Lodge of Four Seasons in Lake of the Ozarks, Missouri has a new “Best of the Lake” package combining the best accommodations on the lake with the best golf courses on the lake. 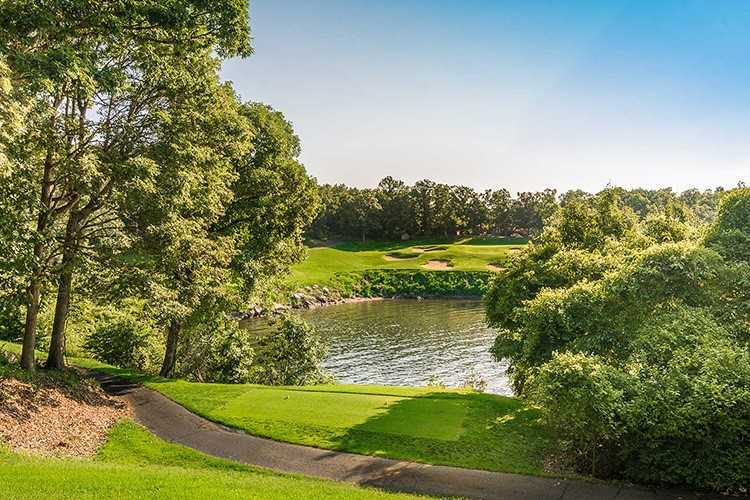 With golf rounds at the Lake of the Ozark’s best private club, The Club at Porto Cima, and two of the best resort courses on the lake, The Cove Golf Course and The Ridge Golf Course, this three-day, two-night package is a golfer’s delight. The “Best of the Lake” packages starts at $179.50 per person, per night and is subject to availability. Rates are per night and exclude applicable tax and resort fees. Promotion excludes group bookings. For more information on the “Best of the Lake” package, visit www.4seasonsresort.com/discover-the-best-of-the-lake or call 888-265-5500. The Lodge of Four Seasons was founded in 1964 by Harold Koplar, father of current owner, Susan (Koplar) Brown and is regarded a major destination resort in Missouri and the Midwest. Set on 350 peaceful waterfront acres, The Lodge offers more than 60,000 square feet of meeting space, five unique dining experiences, four swimming pools, a full service marina and the nationally recognized Spa Shiki. The Lodge’s golf offerings include The Cove, an 18-hole, par-71 Robert Trent Jones, Sr. design and The Ridge, an 18-hole, par-72 Ken Kavanaugh layout. Headquartered in Scottsdale, Ariz., Troon is the world’s largest golf management company providing services at more than 360 locations around the globe, including 280 golf courses at 246 facilities. In addition to golf, Troon specializes in homeowner association management, private residence clubs, estate management and associated hospitality venues. With properties located in 35 states and 30 countries, divisions of Troon include Troon Golf, Honours Golf, Troon Privé (the private club operating division of Troon), Troon International and Cliff Drysdale Management. There are currently 60 Troon-affiliated properties featuring 80 golf courses on national and international “Top 100” rankings. Troon-affiliated properties include Bayside Resort Golf Club in Selbyville, Delaware; Kapalua on Maui, Hawaii; Mauna Lani Resort on the Kohala Coast on Hawaii; Pronghorn in Bend, Oregon; Lofoten Links in Norway; and Mollymook Golf Club in Australia. For additional news and information, visit www.Troon.com.